Customer group: Guest | Prices are displayed after confirmed registration. Consumer You find the item here: Teddy-Fabrik.de. This web-page is exclusive for HERMANN Coburg wholesalers and merchant customers. Mohair is made from one of nature`s finest sources for natural fiber,the Angora goat. This special fur is very long and naturally wavy. When sheared(this usually occurs twice a year) it is called mohair. The term "mohair"is derived from the Arabian word "Muhayar" which literally means "the fabricof goat hair". Despite the name similarity there is no relation to the Angorarabbit. The collection of this noble hair does not require any animals to beharmed! Angora goats are a delicate animal and are very sensitive to temperaturechange. This requires a dependable mild climate. Summers not so hot thatthe meadows dry out and winters not too cold. In the entire world there areonly three regions that consistently meet these ideal conditions: Texas,USA, South Africa and Turkey. The fur of the Angora go at is naturally white, curly and shiny. Itsfibers have a remarkable strength when made into a pile fabric. Thesecharacteristics together with the noble appearance, silky feel and sheenmake mohair one of the finest fibers offered by nature. HERMANN-Spielwaren, now located in Coburg-Cortendorf / Germany, is one of the oldest still existing Teddybear companies worldwide. 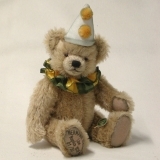 Founded 1920 in Neufang near Sonneberg / Thuringia the history goes back to the year 1913, when Max Hermann manufactrued his first Teddybear together with his brother Arthur and his sister Adelheid. 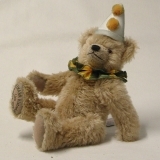 The company is famous for there extraordinary designs, there craftmanship, there exclusive small editions and that each bear, made in Coburg / Germany is a own personality. 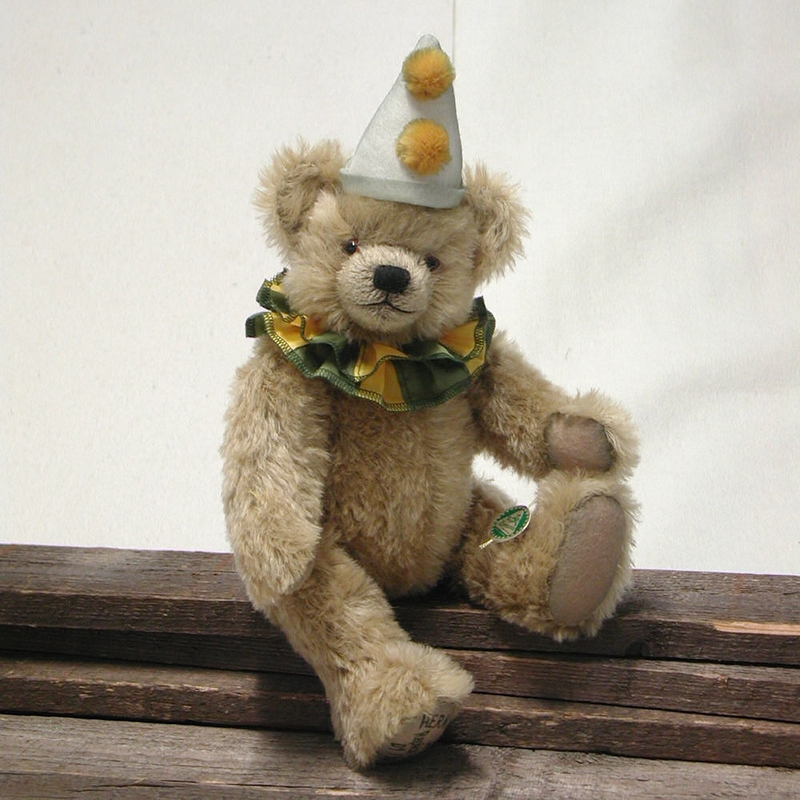 Each bear is made by highskilled longtime employees, many of them work over 10 years for HERMANN-Spielwaren. 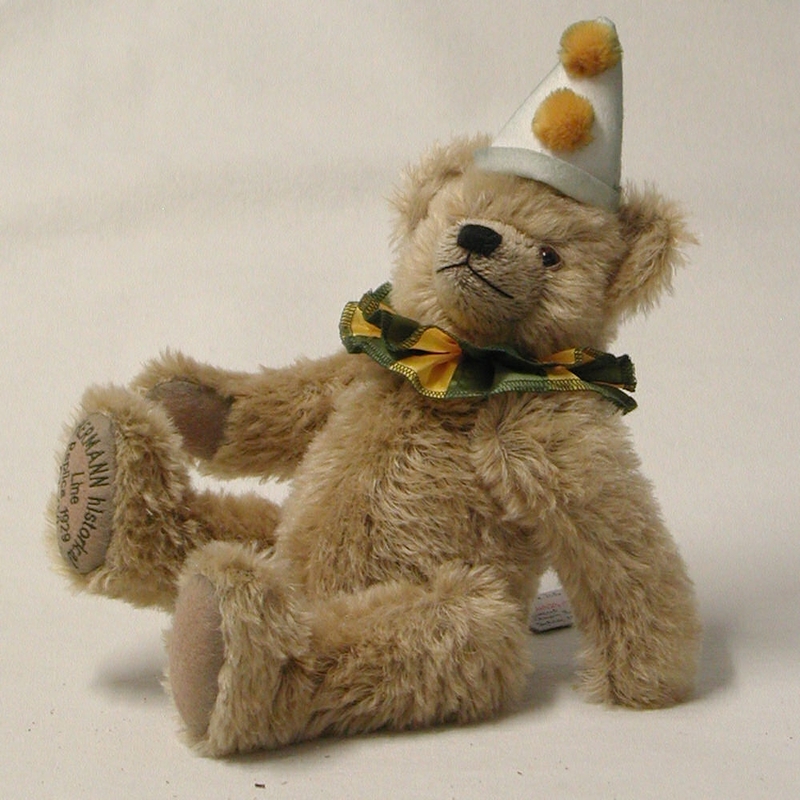 Each wellknown teddybear book features the designs and also the Teddybear magacines are in close contact the the company for new styles. Des Chef-Designer is Ulla Hermann, granddaughter of the founder. Her Teddybears won famous Awards, like the TOBY Industry’s and Public’s Choice Award, the Golden Teddy Award or the TED worldwide Award. USA/CANDA mit Abrechnung Preisliste USD Whole-Sale, alle Preise Frei Haus und inkl. Verpackung.